Muck divers will find many nudis and other macro creatures dotted around the black sand slope, together with eels, cuttlefish, Leaf scorpionfish and more. Explore Bali’s newest wreck site here. 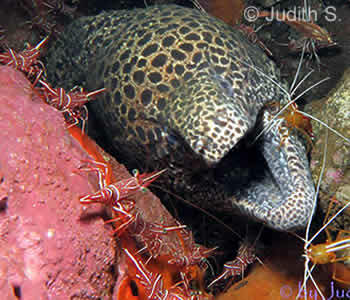 The Kubu dive site is approx 10 mins by road, 30 mins by local outrigger fishing boat (jukung), north of Tulamben Bay. Right off the beach, in 3-8 metres of water, there is a lovely reef with some beautiful Staghorn corals and schools of reef fish. AMD-B dive staff report regular sightings of reef sharks, Bumphead parrotfish, barracuda and turtles. Muck divers will find many nudis and other macro creatures dotted around the black sand slope, together with eels, cuttlefish, Leaf scorpionfish and more. Two small walls (approx 25m depth with viz of 20m) offer gentle drift diving past numerous sea fans (with pygmy seahorses) and a variety of sponges, as well as hard and soft corals. Kubu has the highest concentrations of lionfish and Blue-spotted rays in the Tulamben area. In late 2012 a Dutch built, +38m decommissioned government patrol boat was scuttled just 25m from shore. AquaMarine Diving – Bali offers a Wreck Diving Day trip. SCUBA dive on both the USAT Liberty Wreck in Tulamben Bay, and the Kubu Wreck in one day. Book Your Bali Diving - Kubu Today!